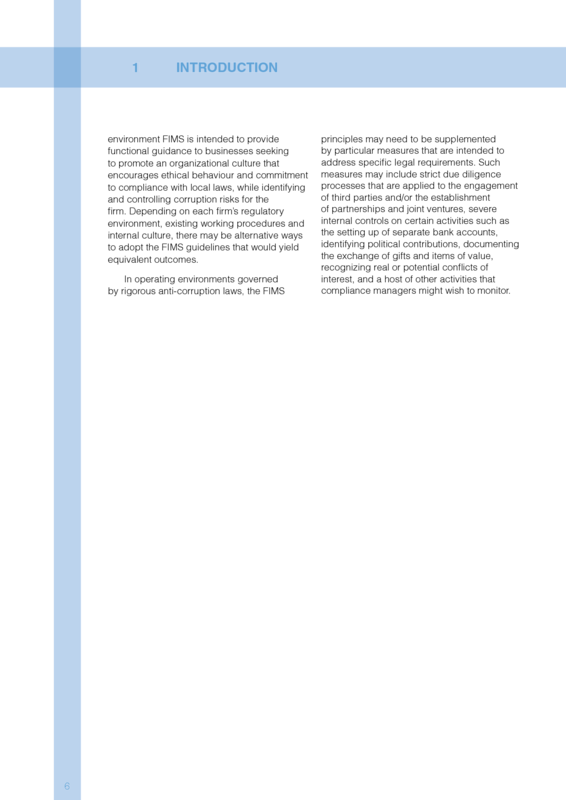 FIDIC Guidelines for Integrity Management (FIM) in the consulting industry (First Edition 2011), Part 1- Policies and principles: describes the FIDIC Integrity Management System (FIMS). 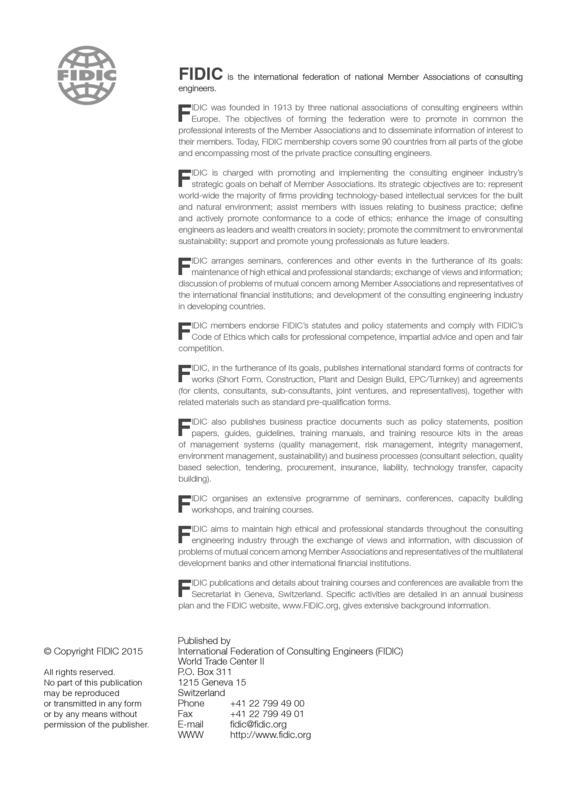 Electronic version in PDF. 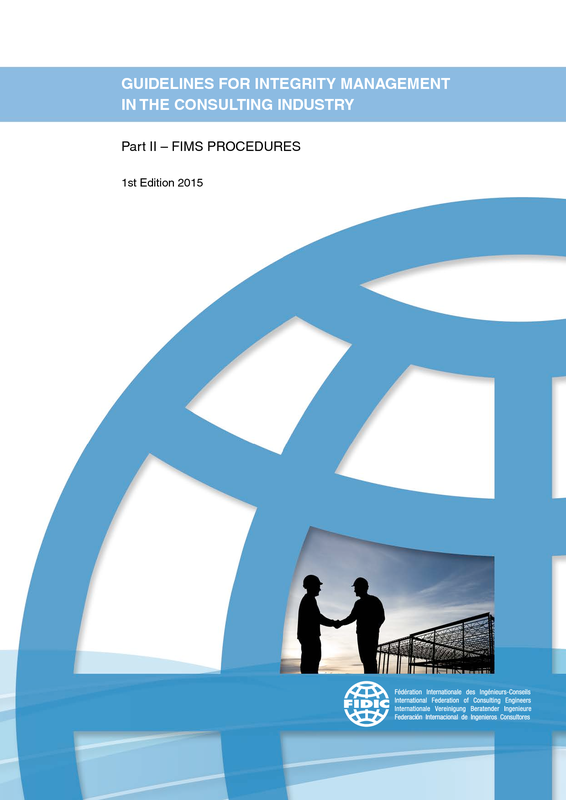 As a companion document to the FIDIC Integrity Management System (or FIMS) Guidelines Part I – Policies and Principles, 1st Ed 2011, a Part II - Procedures document has been published. 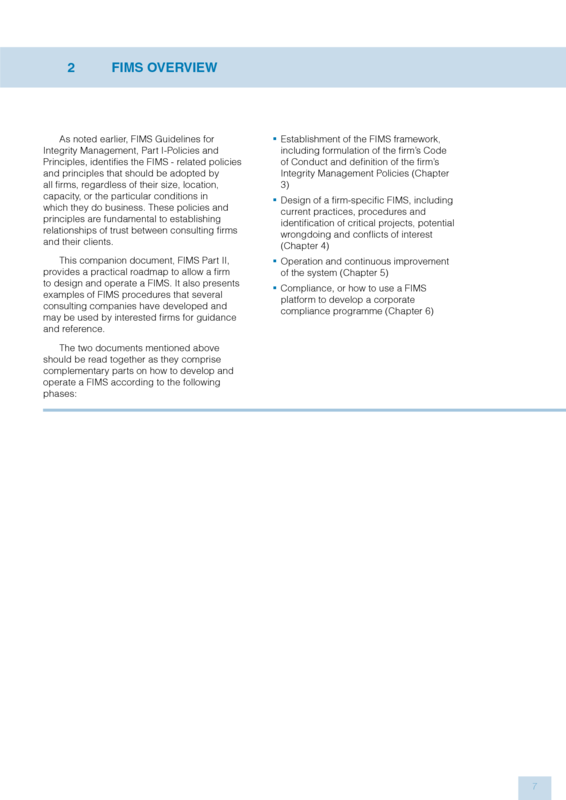 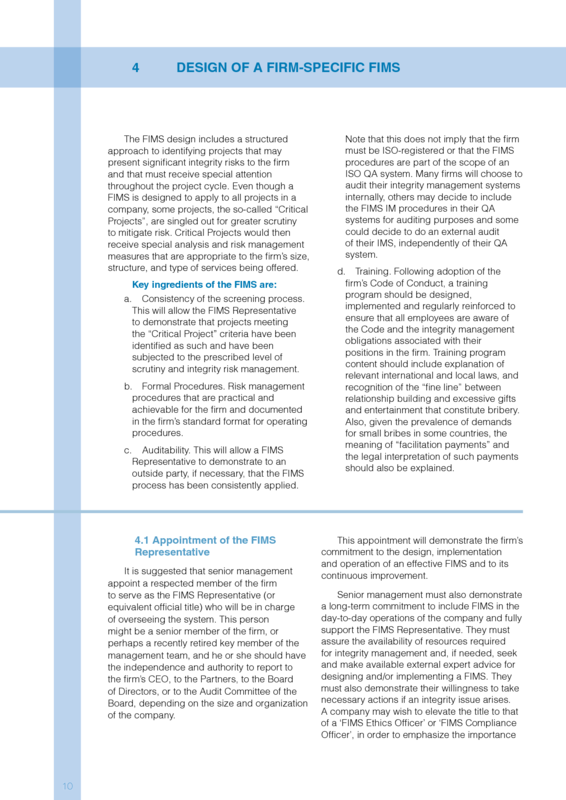 FIDIC believes that a scalable and risk-based approach is most appropriate for implementing FIMS at the firm level and that variations from a general FIMS concept are needed to take into account the size, location, market, services, resources,local conditions and requirements of clients of small and medium-sized companies. 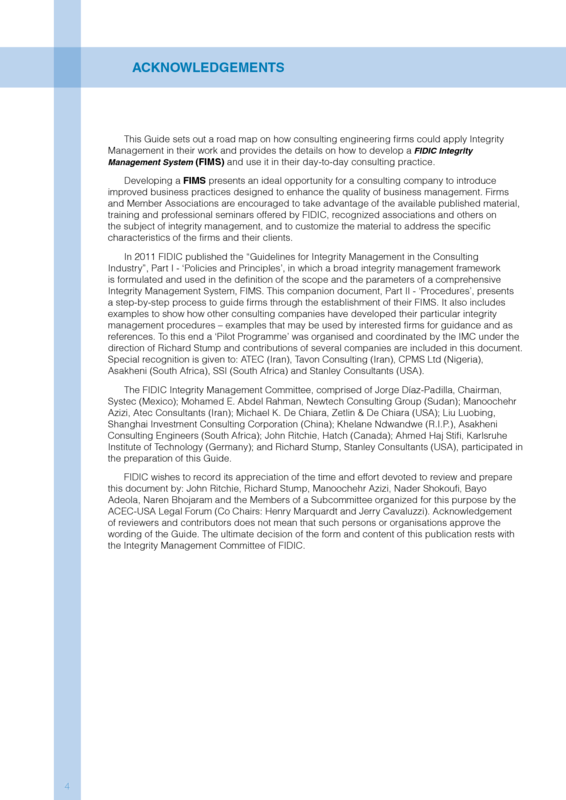 Recognizing that consultants operate in different regulatory environments, ranging from those in countries with rigorous anticorruption laws to those in countries that have poor oversight or regulations, FIMS provides a framework of functional criteria or requirements that go into creating an integrity management system. 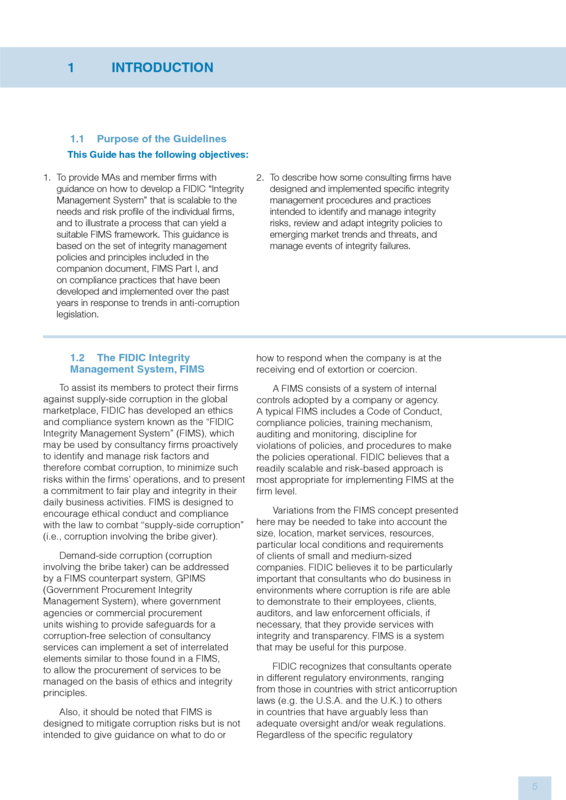 The FIMS Guidelines Part II is a document designed to assist consulting firms, regardless of size or home country, in the development of a framework to manage and mitigate bribery and corruption risks that may be encountered in the business environments that many companies face today. 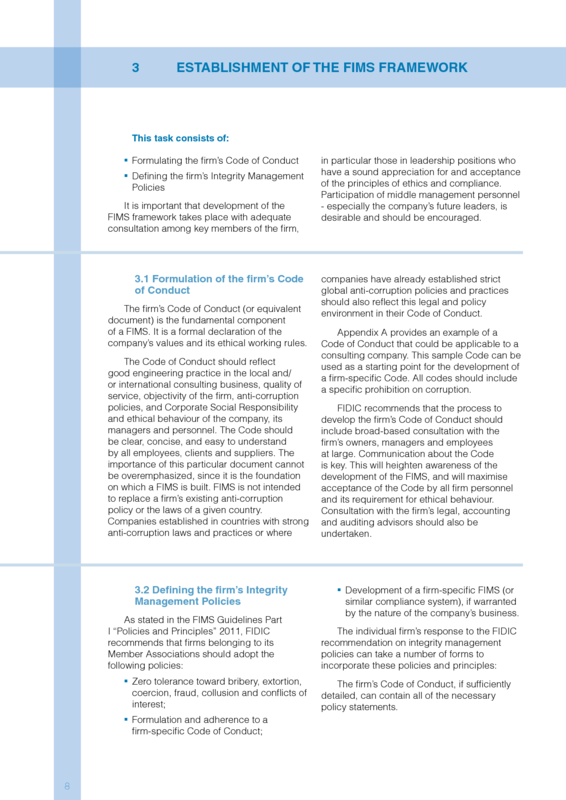 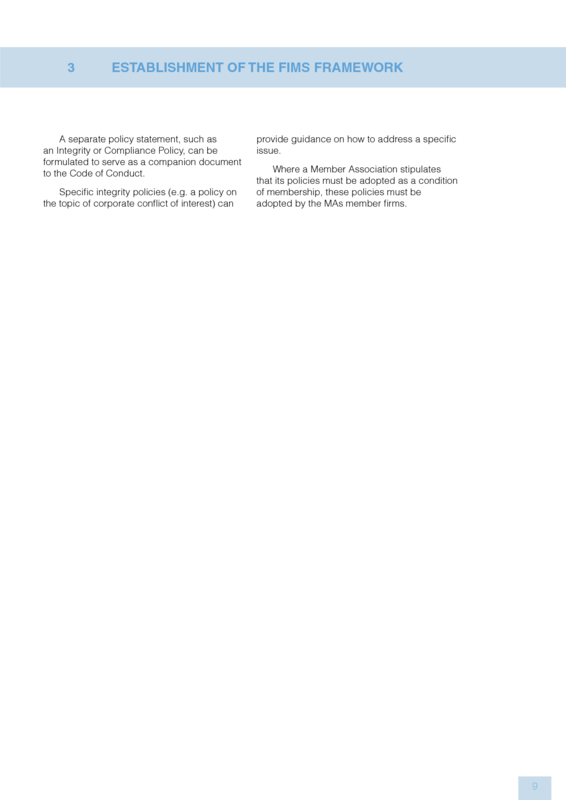 The document comprises two sections: the first one is conceptual and presents a unified view of risk areas regarding integrity and how firms could take preventive actions; the second one includes some sample forms which illustrate how different companies are addressing integrity issues in their day-to-day business operations. 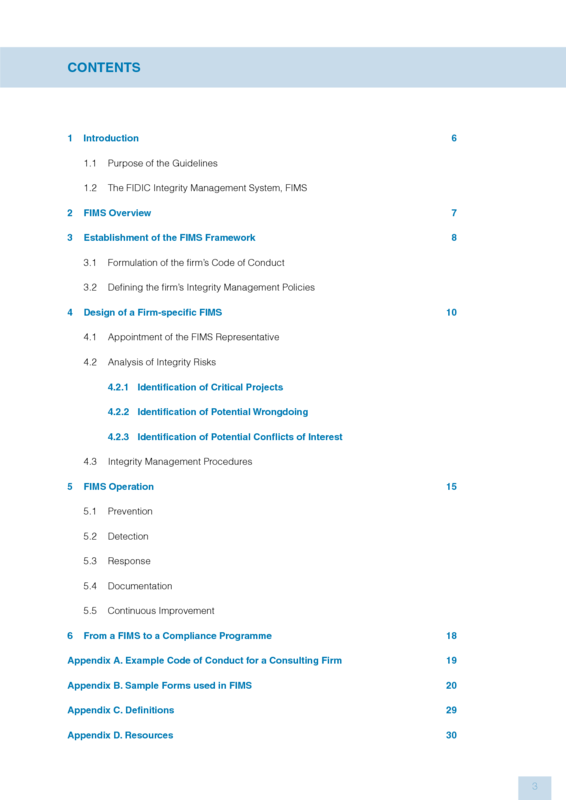 FIDIC Guidelines for Business Integrity Management (BIM) in the consulting industry (Test Edition, 2001): describes the FIDIC Business Integrity Management System (BIMS).